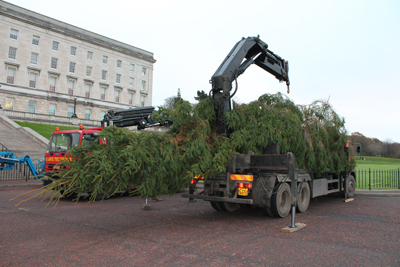 A lovely mild winters morning was the backdrop for the installation of the most important and celebrated Christmas tree in the country, the tree at Stormont. 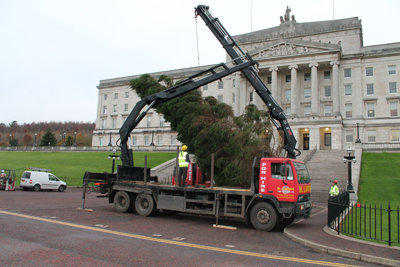 M.Large arrived to the site shortly before 8 am with 2 x mobile lorry mounted HIAB knuckle cranes and a crew of 2 operators and an arborist. 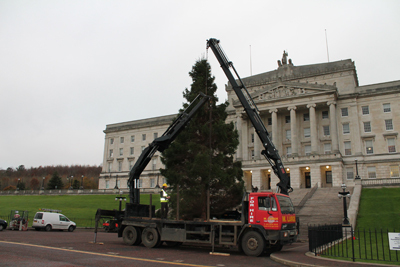 The 15m giant tree selected by our highly qualified arboriculturalist team dwarfed the crane truck delivering it, so it was clear from the off this would be an impressive specimen. 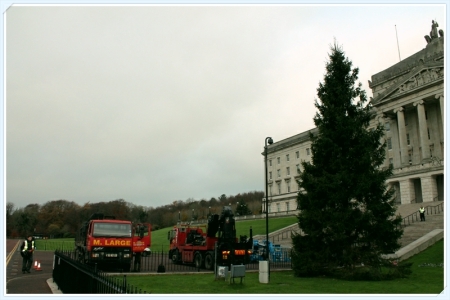 Stormont’s 15m Christmas tree dwarfs M.Large crane truck. 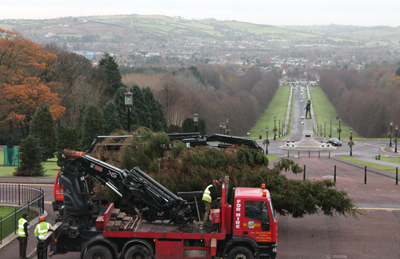 The crane’s worked on a “top n tail” basis with precision to lift the tree, bring it to a standing position and carefully drop it into the installation hole, positioned just to the right of the famous steps. 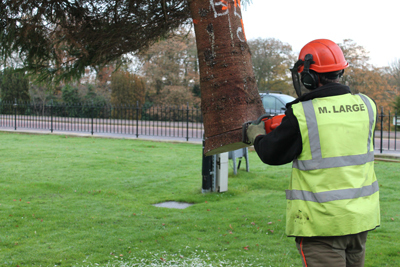 Once straight and into position the tree was supported by a series of wedges sledgehammered into place on all sides to create a solid immovable installation. A little off the side? And that was just about it. 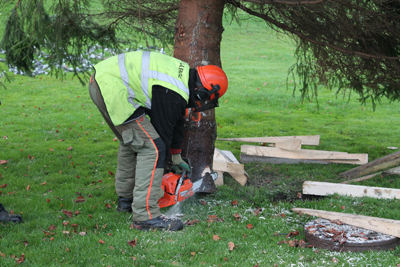 Send the climbing arborist up to grab the crane lifting tackle, retract the cranes….and now it’s the turn of the sparks with the lights. One hour of work=one month of seasonal cheer at the houses of power.